2go mobile application has always had a story over the years. Starting from less improved versions to advanced versions, the company has been seen to have emerged from one stage to the other via the tunnel of determination. 2go recently launched an upgraded version of 2go version 3.9. This is what i currently run on my phone and i think it kinda make some sense though. Though of late, i have not been a huge fan of the 2go mobile messenger, i think the version 3.9 is worth giving a hands-on trial since it does not amount to 1MB of data plan irrespective of the upgrade made to its previous version in time past. -- Users conversation are not deleted upon quitting. It is saved and is only deleted when user triggers options to delete. -- Users can now access the 2go interface with or without data plan or credit on there phone. This is a great technique, as users now have the liberty to access there messages with or without a data cap. -- Chat menu added among homepage option. -- New emotions and colours added. Basically all mobile devices are meant to work with the 2go version 3.9 mobile application. There has not been any known compatibility issue for now. So you run a test on it. Do you want some of this action running live on your mobile devices? then download 2go version 3.9 now.Remember to enter your correct mobile number when installing. Feel free to tell me what you think concerning this version of 2go. I love comments. Use the comment box to speak your mind. Never heard of 2go and it seems really awesome. would try it soon. 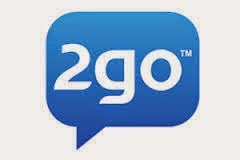 2go is more dorminant in African countries, more especially Nigeria and South Africa.